Does Your Band Need A Producer? When your band is looking at recording its music, there will be many factors to consider. One of the most important decisions for independent musicians to make is who participates in the process with them. Do you find a manager? What about a producer? Do you even need a producer? If you truly are an “indie band” and are self-made, the idea of getting a producer can seem a little hypocritical. On the other hand, once you’ve recorded with a producer, it can be difficult to imagine recording without one. It is important to deliberate these issues before you begin the music recording process. 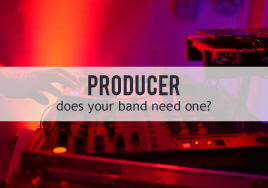 As a band, you will need to make a collective decision about whether or not you’ll have a producer. If your band has been working with a manager (of any form), this person or group should probably also have a vote in the decision. Many of the potential pros of working with a music producer are also potential cons. A producer should guide your band through the recording process, maybe asking you to step outside your band’s comfort zone and try new things. This could be helpful, especially for bands unfamiliar with the recording process or uncertain of the direction they want to go. For other bands, this potential micromanagement might be frustrating, and the suggestions might push your band in a direction you don’t want to go. Be open to new ideas, but know yourself; if the results don’t fit with your band’s sound or goals, say something. Producers can also pull strings to get you a good deal on recording time; this might mean working on their schedule or at their studio, though. Some producers may dip their toe outside the music recording process, handling record labels, venues, contracts, and marketing. Again, this might be helpful, or it might push your band in a direction you don’t want to go. Be open, but speak up if needed. Working with a producer can open up your sound in ways you’ve never known before. This is why producers are such a vital component to the music recording process for virtually all professional bands. That said, if you decide to use a producer, make sure everyone is clear about every step of the process up front. If your band doesn’t agree with what’s happening, speak up before you sign anything… and never sign your rights away. Has your band recorded music? Did you use a producer or go it alone? What factors led you to that decision? 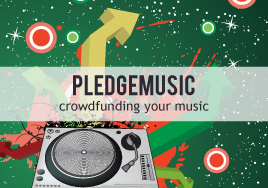 Your first big check as an indie musician likely won’t come from a platinum debut album. If it does, congratulations! However, you can still experience the satisfying results of getting paid for your music if you license your music properly. Many artists shy away from the music licensing issue; it may seem a bit complex, and honestly, you’d rather work on your next great hit than rustle through paperwork. Still, it’s worth learning more about the subject so you can protect your work and reap the benefits of licensing your music. You technically own the copyright of a song as soon as you write down the lyrics and music and/or record the song. That said, the easy access enabled by modern technology makes registering your music critical. Doing so provides grounds for defending your copyright in court if someone uses your work without permission. Registering your music also ensures that you get paid for agreed uses of your song by any radio station, television commercial, independent movie, and so on. You can license your music through the U.S. Copyright Office by opening an account with them on their website. You then fill out a Form CO and upload your music (thus submitting it to the Library of Congress), or you can opt to mail both portions in. It takes from six months to a year for your registration to be processed, but your license holds as soon as you submit the information. Using a performing rights organization such as BMI, ASCAP, or SESAC to license music has become increasingly popular due to their ease of use and the opportunities they offer. These organizations also take an active stance in tracking down usage of your registered works to make sure that you get paid. 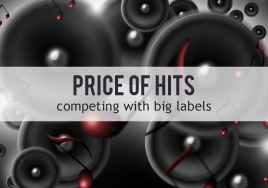 ASCAP charges a one-time fee while BMI does not; SESAC does not charge any fees, but you can only join by invite. Research each of these companies thoroughly before signing up with one; you can only join one. The powers that be are making the music licensing process easier than it was before. Now that you know the benefits, put this on your “to-do in the immediate future” list. 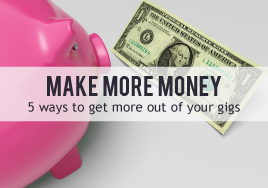 If you already knew of the benefits, hopefully now you are persuaded to stop procrastinating and start getting your just dues for your hard work. 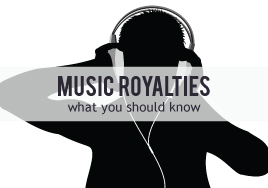 Click here to read more about licensing and royalties. Have you licensed your music before? If so, is there insight on the process that you’d like to share with other artists? Do you use a performing rights organization? If so, which one? 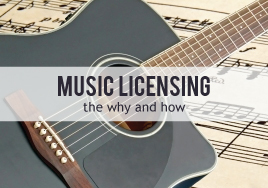 Are you waiting to license your music? If so, what’s holding you back? So, you’d like to register your band’s songs as intellectual property? This is a good idea, especially if your songs are good enough that people might want to use (or steal) them. Copyrighting your music is a simple and effective process for protecting your babies. The copyright on your music protects you if somebody steals your idea and passes it off as their own. Should this happen, it is your responsibility to file a law suit; you can use your copyright registration to prove that you are the intellectual owner of the music. There’s a fairytale about copyrighting that goes something like this: Mail a copy of the CD to yourself before it’s available to the public. Then, if copyright issues arise, you can in court submit the post office’s date stamp on the package as proof that you are the original creator… all for the cost of one stamp! While this is certainly clever, it’s also flawed. Just because you mail something doesn’t make it yours, and it is possible that you switched the contents of the package at a later date. In short, this method is ineffective at protecting yourself. So, what can you do? Go through the official channel. The cost of copyrighting an entire CD through the U.S. Copyright Office is just $35 (if done electronically). Processing the copyright application online immediately creates a time stamp, and it is a faster method of registration.You can also submit your application through the mail, but you’ll have to scrape up another $30; physical applications cost $65. While this is more than the cost of a stamp, it’s still enough of a bargain that most musicians can afford to do it. The good news is that you can copyrighting several songs in a submission, as long as they are being registered to the same individual or group of individuals. 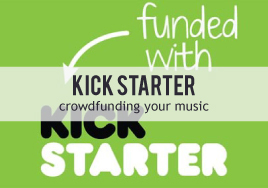 You can copyright songs individually (if you really want to, or if the members of your band want each song’s copyright registered to the individual who wrote it), but each submission costs $35. While the most cost-effective way of copyrighting music is to wait until you have several songs or a whole album ready to submit, doing so can leave your songs unprotected in the meantime. The decisions about whether or not to copyright, and when to do so, are those you’ll have to make at some point in your music career. Have you already done this? Did you copyright each song separately as they were ready, or did you copyright several at once? 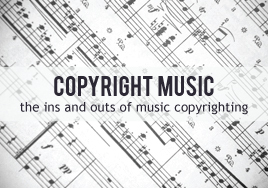 If you haven’t copyrighted your music, what is holding you back? A confession: I like physical media. I back up sessions on hard drives. I have an extensive CD collection. When I’m near a record player, you can bet it will be in use. That said, I’m not stuck in the past. I’ve grown quite fond of backing up to cloud drives, and as a consumer I often use music-streaming sites like Spotify. As a professional artist, you have to keep up on industry trends to get your music out there. You could have the best songs and the tightest band, but if no one hears your songs, none of that will matter. 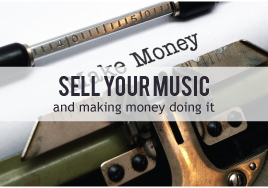 When you sell your music, whether in physical distribution or in online sales and downloads, you get the profits and the consumer keeps the music. 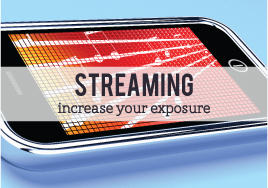 Streaming is different; the most common sites are closer to traditional radio play, just online and tailored to each listener. Listeners use a service, free or paid, to access the music but do not own the music. This means that they can listen to the artists and songs they like, discover related artists, retain valuable hard drive space, and not spend (much) money on music. If you want access to these listeners, you must make your songs available on these streaming sites. On the plus side, there is usually a small amount of money paid to the you each time someone streams your song. While the profits from streaming services are not as ideal as album sales, the streaming services can offer increased exposure. As a user of streaming sites, I often check out similar artists suggested by the service. Some services automatically play similar artists. If these listeners like your music, they might regularly listen to you (more money) or might look up where to buy your music and do so (more money). The major streaming outlets right now are Spotify, Pandora, and ReverbNation. There have been and will be others; be sure to keep updated on which is rising or falling in popularity. If you’re still a fan of physical media and live performances like I am, that’s great. There’s still an audience for that, but it’s no longer the whole story. Now that you know about streaming music, you can decide whether or not this type of music distribution is a good fit for you. Have you put your music on a streaming service? Has doing so resulted in increased sales or fans? Which service would you recommend?